Alice Lillian Wright was born August 22, 1894, in Charlottetown, P.E.I., and died in March 15, 2000 (at age 105) in Vancouver, British Columbia. 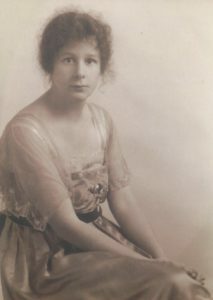 After graduation from the Vancouver General Hospital School of Nursing in 1918, she worked first as a pediatric head nurse and pediatrics instructor at Vancouver General Hospital, then in hospitals in California and New York. She received her Bachelor of Science from Teacher's College, Columbia University, New York, in 1941. She also took a post-graduate course in pediatrics at New York Nursery and Children's Hospital, as well as a special course at the Kenny Institute, University of Minnesota. She was Registrar and Executive Director of the Registered Nurses Association of B.C. from 1943 to 1960. During that part of her career, she initiated trail-blazing efforts to establish collective bargaining for nurses in B.C. and in Canada. She was named an Honorary Life Member of the Registered Nurses Association of B.C. 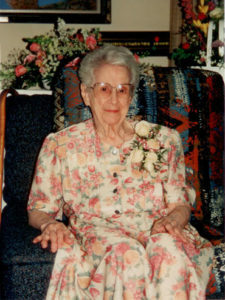 in 1952 as a tribute to her pioneering work in labor relations for B.C. nurses and her efforts to improve standards of nursing education in the province. She was named an Honorary Life Member of the Canadian Nurses Association in 1962 for her pioneering labor relations work and for her many professional contributions nationally and internationally through the International Council of Nurses. She started collecting antique infant feeding devices during her early career and amassed a valuable collection, which she donated to UBC Woodward Library Special Collections in 1965. Fonds consists of one box of textual, graphic and artifactual material dating from about 1917 to 2001. A number of photographs document her career, while other photographs and some documents relate to her interest in infant feeding devices. Newspaper clippings, articles and other textual material feature articles related to Alice Wright, including articles regarding her work with the RNABC and the International Council of Nurses, her collection of infant feeding devices, and the celebration of her 100th birthday in 1994. Artifacts include pins awarded to Wright from various educational institutions and associations.